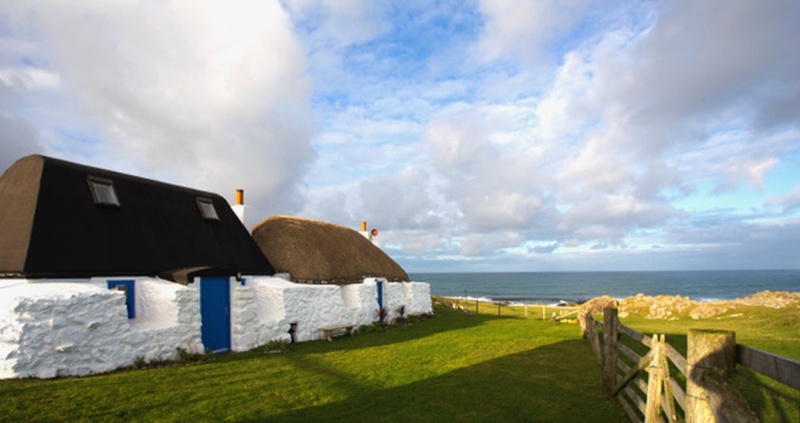 Balevullin Beach Thatch is a very picturesque beach property made up of a traditional marram grass thatched cottage and an iconic Tiree blackhouse. 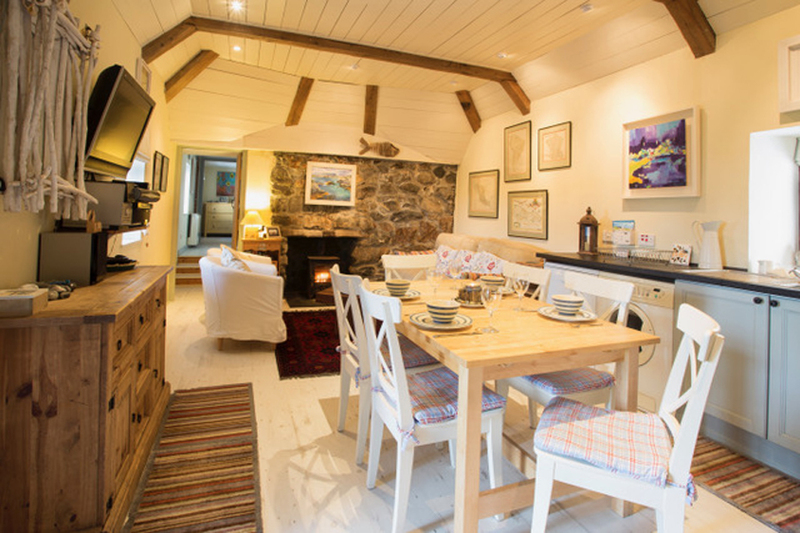 Sitting in its own private garden, overlooking Balevullin Beach, it is the best location from which to enjoy one of Tiree’s most popular beaches as well as spectacular sunsets and views over to Barra and the Outer Hebrides. The fresh, contemporary open plan interior, which is filled with a collection of original art work, compliments the charms of the beautiful Listed exterior and allows for comfortable and cosy modern living. Living Area – A large, open plan living area with high ceilings and wooden floors incorporates a traditional fireplace and woodburner which creates a cosy lounge area. 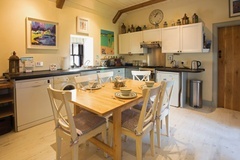 Fully fitted kitchen with a washing machine, dishwasher and a large kitchen table for six. 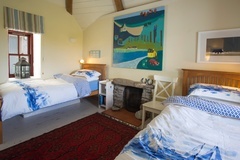 Twin Room – This is a large, bright room with a high ceiling and wooden floor. Two comfortable twin beds made up with top quality linen and towels. 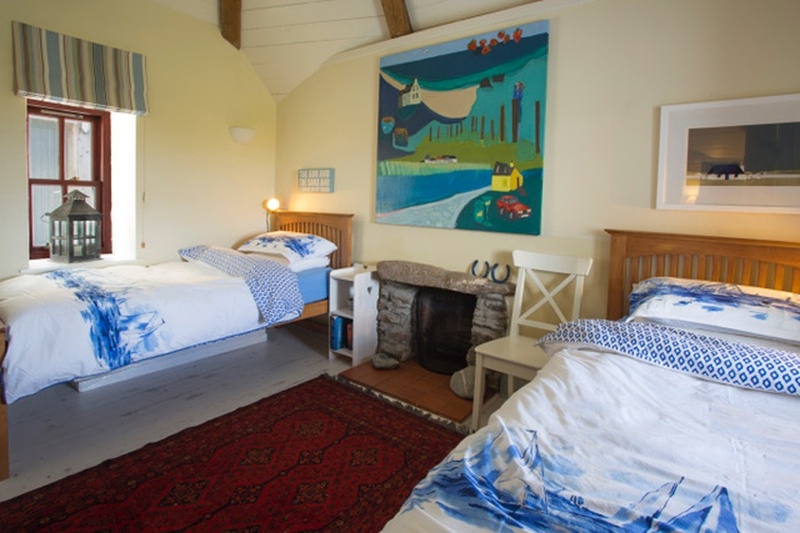 Twin/Double Room – Light and airy with wooden floors and twin beds that can also be made into a king size double bed. Comfortable beds made up with top quality linen and towels. Bathroom – Full bathroom with bath and overhead shower. A large fenced in private, grass garden surrounds the property. There is a large picnic table for six with views over Balevullin beach and out to Barra and the Outer Hebrides. Outside shower with decking area and the use of the front shed with its larder fridge/freezer. Surfing lessons and other watersports available a one minute walk away on the beach. Balevullin Beach Thatch is proximately 15 minutes from the Ferry Pier and 10 minutes from the Airport. The postcode is PA77 6XD. Once in Balevullin, please head towards the beach, passing the designated beach car parking area on your right, go left through the rocks and the Beach Thatch is immediately in front of you. 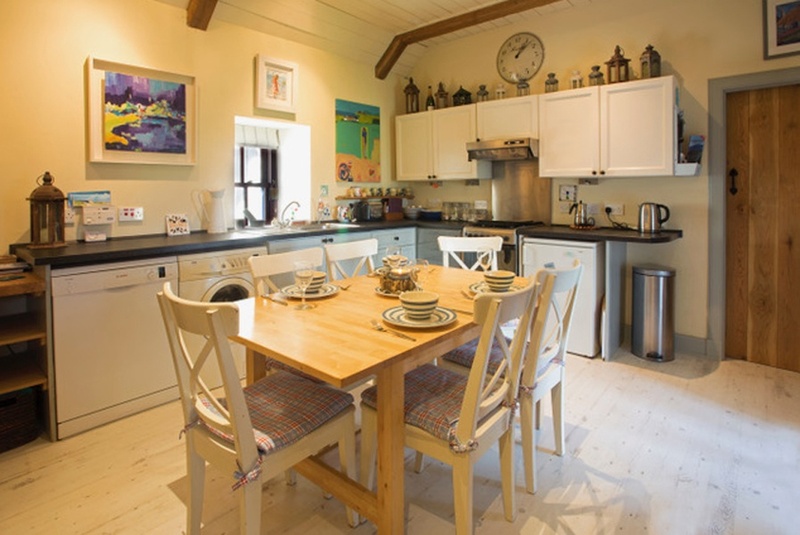 The House is surrounded by open machair which blooms with wild flowers and there is ample space for car parking outside the garden fence.